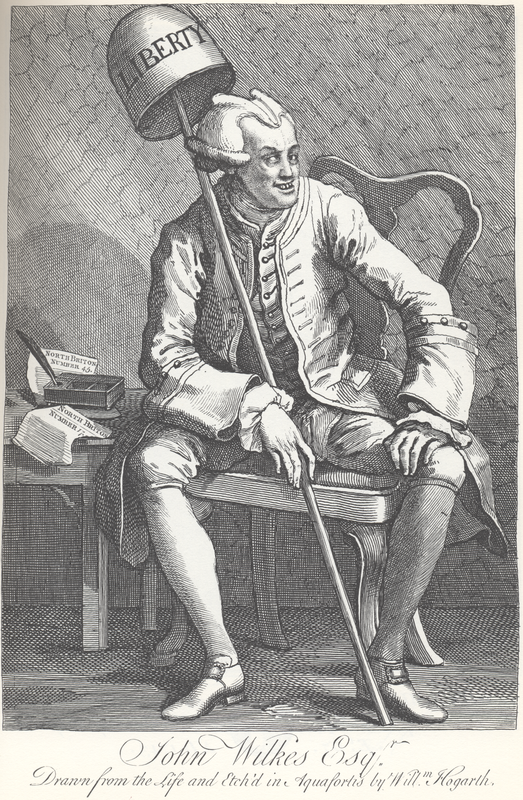 Wilkes by Hogarth – No friend of his! Social attitudes changed during the eighteenth century in ways that still have relevance today. Nowhere is this more obvious than in attitudes to morality, religion and sexual behaviour. All kinds of reasons have been put forward for this change, from the rise of evangelical religion to the personal domestic puritanism of King George III. While each probably played a part, it seems to me that the real driver was more likely economics than anything else. At the start of the 1700s, wealth was still mostly held in the form of land and the rents it could bring in. The great and mighty – never more than a tiny fraction of the population as a whole – expected their money to arise from ownership: of land, slaves, sinecures and investments, plus the influence needed to maintain or enhance that ownership into the future. This hardly changed until very late in the eighteenth century, when ownership might be extended to mineral rights, canals and manufacturing enterprises. It seems to me fair, therefore, to say that, since the elite had considerable time on their hands and a great deal of money to use for any purpose they wanted, their priorities were slanted towards spending. Once you have satisfied your basic necessities, whatever is left can only be spent on luxuries. The grandees of the eighteenth century possessed so much wealth that necessities absorbed little. The large amounts left over could therefore be spent on fine houses, fine clothes, fine food and wine, travel and all the other elements of display so dear to their hearts. Like wealthy people throughout history, the real benefit of money was to be able to flaunt it to the world. It also allowed you to pursue ways of life that others might not approve of. Indeed, the freedom great wealth allowed soon slipped into outright libertinism: that lack of moral or ethical restraint that so characterises the behaviour of the great families of the 1700s. Mistresses made up for arranged, often loveless, marriages, while allowing yet more display. If you were an important person, you reasoned you must need an important mistress: a famous courtesan, famous actress or noted society beauty. Gambling brought excitement and plenty of losses, which, being wealthy, you could treat with disdain – at least for a while. Other vices could be indulged whenever you wished, since there were always people ready to offer whatever you needed, for a price, while your status generally kept you from any unpleasant consequences in the courts. In periods where wealth comes primarily from consumption, conspicuous consumption is the route to celebrity. That was as true in the eighteenth century as it is today. And since the 1800s had more or less just invented the cult of celebrity, plus the means of publicising it through broadsheets, prints and newspapers, conspicuous consumption was the name of the game for every celebrity around. During the same century, many new sources of wealth appeared. Trade flourished at home and abroad. An empire was won, giving access to huge reserves of raw materials and cheap labour, plus new and captive markets for British goods. Britain became a major world power. Opportunities for wealth creation through manufacturing, banking, trading, shipping and every other kind of commerce appeared on all sides. However, producing wealth in this way requires working. Money doesn’t simply appear, unassisted. It requires effort and enterprise. A few might benefit from investing surplus capital, but the South Sea Bubble showed this was no sure-fire route to success. What generally worked better was a combination of innovation, enterprise and sheer effort: all things the elite were neither prepared nor willing to deploy in such ways. Since it took little beyond common sense to see a strong link between effort deployed and wealth created, the focus of the new middle class inevitably tended towards getting, not just spending. When gaining increased wealth becomes the fashionable thing to do, not spending what you already have, the whole social and moral balance shifts. Luxuries and vices still exist, naturally, but displaying your use of them too openly is no longer acceptable. What you must show to the world is your dedication to wealth creation through your own efforts. Vice and pleasure go underground, which is exactly what happened through the nineteenth century and well into the twentieth. What the sociologist Max Weber called “the protestant work ethic” of attention to hard work and sober living as a means of wealth creation actually has very little to do with protestantism. Evangelical and puritanical cults merely used it as a means of reinforcing their message that sin caused loss and misery in this life, not just damnation in the next one. Today in America, some go even further and try to claim that adherence to their church produces wealth almost without effort: a gift from God for doing the right thing. The true magic ingredient is simply unremitting effort. The libertine is the person, man or woman, who lives for personal pleasure. The libertarian is the person who values political and personal freedom, especially freedom from government interference in the business of getting and keeping wealth. The eighteenth century produced both in copious amounts. The libertines made the headlines; the libertarians became more and more important in making the money, especially amongst the wealthy, middle-class bankers, merchants and manufacturers. On the continent, the bourgeoisie was typically composed of government functionaries, bureaucrats, clergy and schoolmasters. In Britain, in contrast, the key group were those whose whole attention was focussed on making money, from ‘professionals’ like lawyers and doctors down to local shopkeepers, tradesmen and the masters of various crafts. In an economy where business standards were still mostly unregulated, there were vast opportunities for those with enough drive and entrepreneurial skill to become rich within a single working life. So long as ownership of land produced stable, high levels of wealth, the traditional pattern of a pyramid with the nobility and landed gentry at the top could survive. However, cheap imported food from the empire, poor agricultural wages, the uncertainties of constant wars and the draw of towns and manufacturing centres was starting to undermine this pattern. Land no longer produced the returns it once did, while disdain for “trade” too often meant that the gentry found it hard to shift their wealth into the areas which were booming. 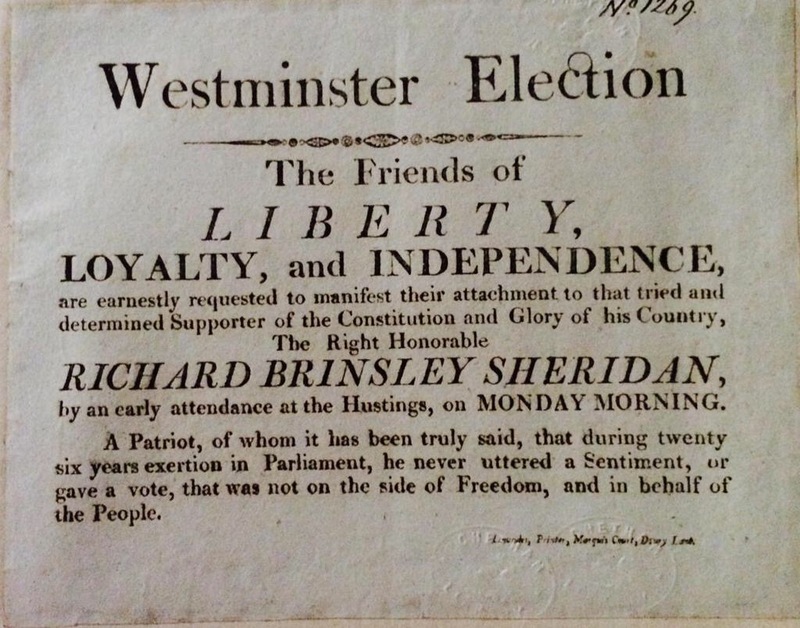 “Wilkes and liberty” had been the rallying cry of many reformers in the middle years of the eighteenth century. Even by the 1790s, demand for constitutional reforms remained strong, driven by the experience of two overseas revolutions – in America and France – the radical ideas of people like Norfolk-born Tom Paine and the reformist preaching of men like Richard Price. Such ideas caused great concern amongst the conservative politicians huddled around the king. For a while, it seemed that revolution might break out in Britain as well. Indeed, opposition to a new war with Revolutionary France in 1793 came more from fears that claims of national emergency might allow the government to impose draconian measures on home-grown radicals (which they did) than on any reluctance to confront the old enemy once again. Many Whigs welcomed revolution in France, seeing only the reflection of their own ideas on curbing the over-mighty powers of monarchy and church. Even when revulsion spread at the blood-bath of The Terror, those libertarian ideals retained their lustre. Whigs might deplore the means, but many still supported the ends. We should not look for anything here that would be recognised as ‘democracy’ today. Even the most radical Whigs would not have wished to see universal male suffrage, let alone include women in the business of politics. What they were trying to achieve was freedom to enjoy their own lives and fortunes in their own way, without interference by a monarchy set on retaining its ancient prerogatives and a nobility its inherited privilege of first access to power, influence and wealth. Much as in Britain today, the vast bulk of the country’s wealth was concentrated in the hands of around 1000 families. Then it was the nobility, now it is a plutocracy of financiers and successful investors. In the eighteenth century, most reformers simply wanted to stop the very few at the top from running everything to their own advantage – again, just as they do today. They did not want or expect fair shares for all. They wanted bigger shares for themselves and people like them: the middling sort who were the wealth creators. The king and the elite consumed more wealth than they created – hence their constant money problems. The poor also, had they been given the chance, would have needed to consume huge amounts of wealth before they could come near to creating any surplus. The middling sort saw all the wealth needed by the king, the nobility and the poor as coming from them. Naturally enough, they did not like it. Thus the two types of ‘liberty’ – libertinism and libertarianism. The former appealed to the rich wealth-consumers at the top. It allowed them to do whatever they could afford, or get credit to afford, free from control – which was just about anything, especially in terms of leisure, access to luxuries and sexual indulgence. Libertarianism appealed to the middling sort, since it offered them the freedom to amass money and influence government actions to help them amass yet more. Kings and nobles were too often spendthrifts, who used taxation and other traditional means to replace their cash from the efforts of others. Merchants and the like made their own money, but wanted enough control over the government of the day, through an all-powerful parliament, to ensure that no one, rich or poor, tried to live off their earnings. Does it sound familiar? Substitute ‘governments and fat cats’ for ‘kings and nobles’ and ‘illegal immigrants’ and ‘welfare scroungers’ for ‘the poor’ and you have more or less the pattern of 21st-century politics in the West! William Savage lives near the beautiful North Norfolk coast in Eastern England and writes historical mystery novels set in Norfolk between 1760 and 1800. The first book in the series, “An Unlamented Death”, appeared in January 2015. A second book, “The Fabric of Murder” was published on May 1st, 2015.